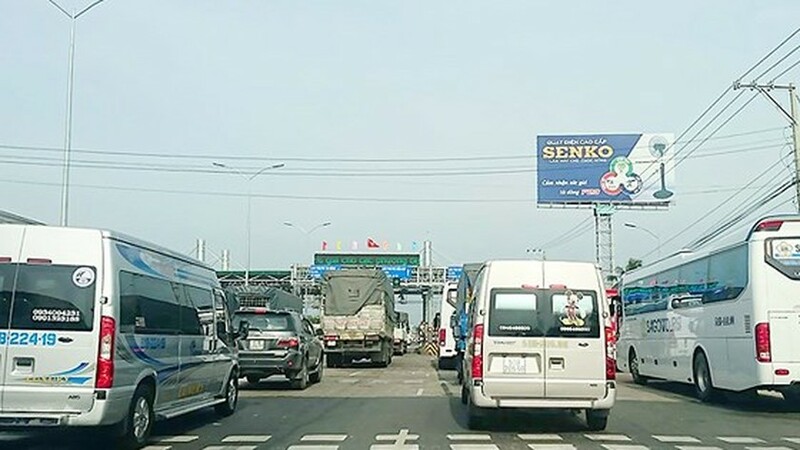 After over three months of temporary shutdown, Cai Lay BOT (Build-Operate-Transfer) tollbooth resumed operation at 9 a.m. yesterday in Tien Giang province but drivers continued raising objections saying the tollbooth was put in wrong place. 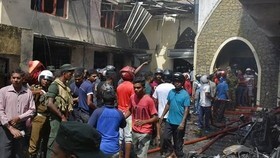 The situation was stable in the morning until noon when traffic jam started occurring, forcing the investor to open the station for vehicles to travel through free of charge. 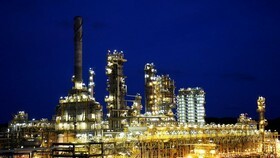 Drivers said that although the investor has cut toll levels, the station's position was still unreasonable, so they required the investor to remove the station from National Highway 1A to Cai Lay detour. 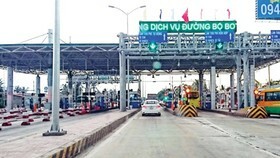 Before the tollbooth was re-opened, National Highway 1A Tien Giang Investment Company had arranged a lane for vehicles pay toll in small change and another area for press operation. 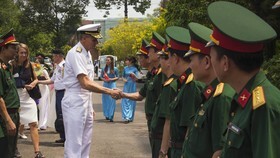 Authorized agencies in Tien Giang province comprising traffic inspectorate, traffic police, mobile police, Cai Lay district police and inspectors from Directorate for Roads of Vietnam were present in the tollbooth area to ensure traffic safety. In addition, ambulances, firetrucks, crane trucks and rescue vehicles were also mobilized. The station supplemented 50 security guards, double normal. Communal cadres and policemen were also there. 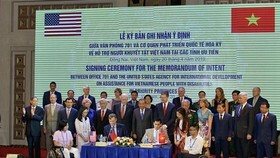 The radio station of Binh Phu commune, near the station, continuously broadcast propaganda information requiring drivers to pay toll and not tangle the station’s operation. 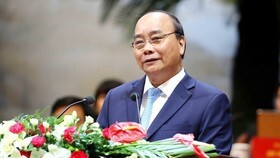 Director of National Highway 1A Tien Giang Investment Company Nguyen Phu Hiep said that the tollbooth has opened two parking areas measuring 800 square meters be able to accommodate 40-50 vehicles to invite drivers, who want to pay toll in small change, to move there in the hope of solving and preventing traffic jam. 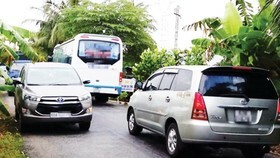 Being present at the scene, Sai Gon Giai Phong reporters found that in the morning there were some drivers paying toll in small change and they were invited to the parking areas. 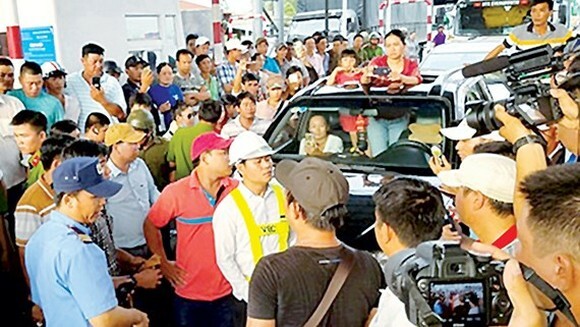 One driver used a VND500,000 note to pay the toll and refused to move to the parking areas causing traffic jam for 20 minutes. Security guard must use cranes to take the vehicle to the parking areas to solve traffic jam and the tollbooth was able to resume operation 30 minutes later. Still at 12:45 p.m., another driver paid toll in small change, causing traffic congestion recur during 30 minutes. The station was forced to shut down for vehicles to travel through free of charge for an hour. By 3: 30 p.m., traffic jam was four kilometer long so leaders of the tollbooth closed the door and no longer vehicles to travel through while drivers continued expressing disapproval of the station. Some drivers even argued with toll collection staff and traffic police worsening traffic congestion. Mobile police was mobilize to rescue order. Along the highway, hundreds of curious residents came to see. 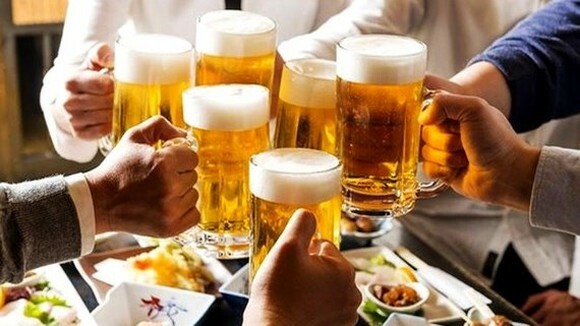 As vehicles refused to move out from the station, crane trucks were unable to take them away and drivers kept paying toll in small change, the tollbooth was forced to open for vehicles to travel through at 5 p.m. Two young men quarreling with traffic police was taken into a car. 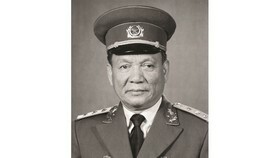 Colonel Truong Van Sang, head of Cai Lay Police Department, said that the police would just intervene when drivers cause public disorder, they did not handle drivers for using small change or large nominal value notes to pay tolls. 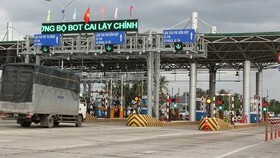 Mr. Luu Van Hao, deputy chairman of National Highway 1A Tien Giang Investment Company, said that the tollbooth was invested according to regulations. Toll cut was the final measure and it was impossible to remove the station as per residents’ requirements.